Drumroll please! Introducing our MEGA DEN! Finally!! Pictures of our Mega Den!! It aired tonight so we can share pictures! 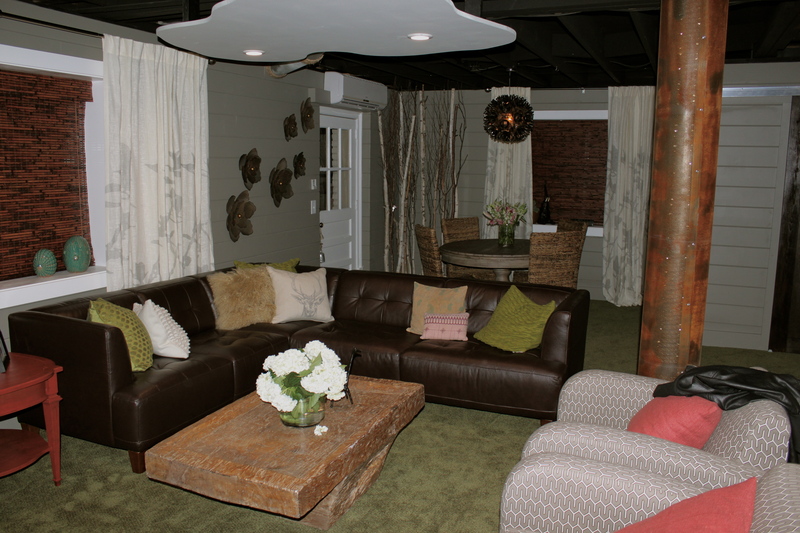 We LOVE our Mega Den and are grateful for Anitra and the entire team who worked so very hard to make it perfect for us. What an amazing experience!! 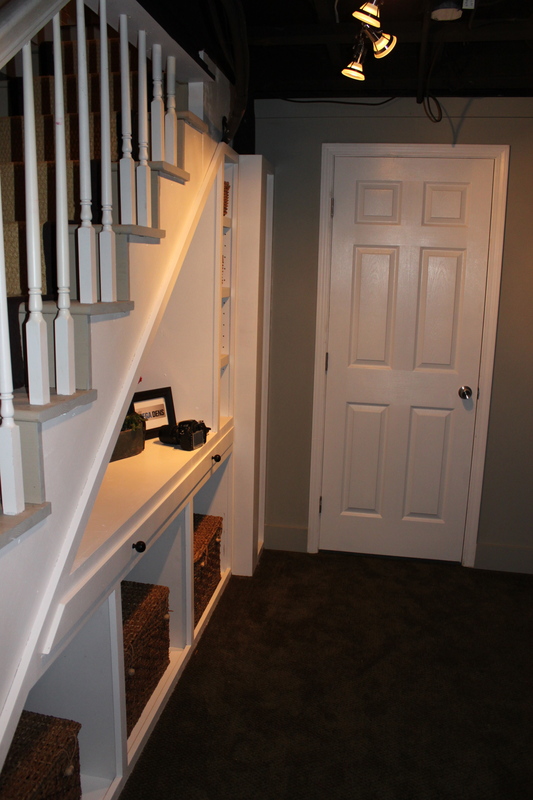 Check out the BEFORE pictures to remind yourself how far this basement transformation has come! If you missed the episode, it will likely be able for viewing on the DIY WEBSITE HERE. 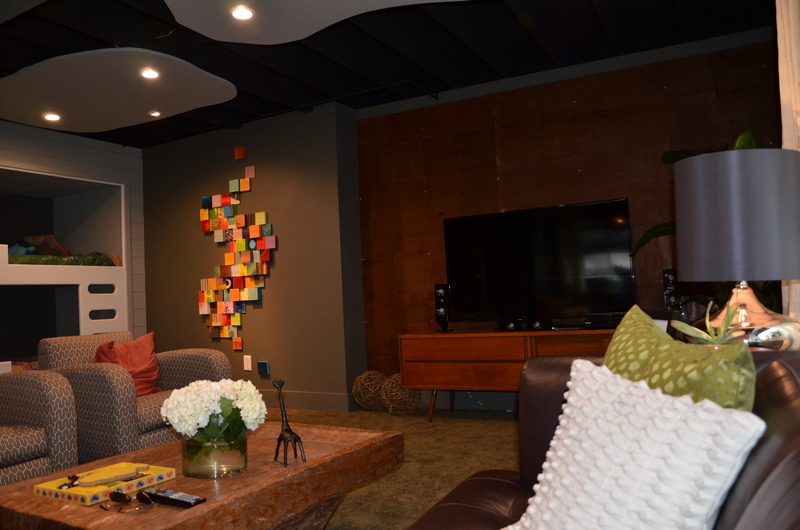 Ours is Episode 11: Colorful Basement Surprise. I applied on a whim and had never even seen the show before! 🙂 I had no idea we would actually get chosen to participate! 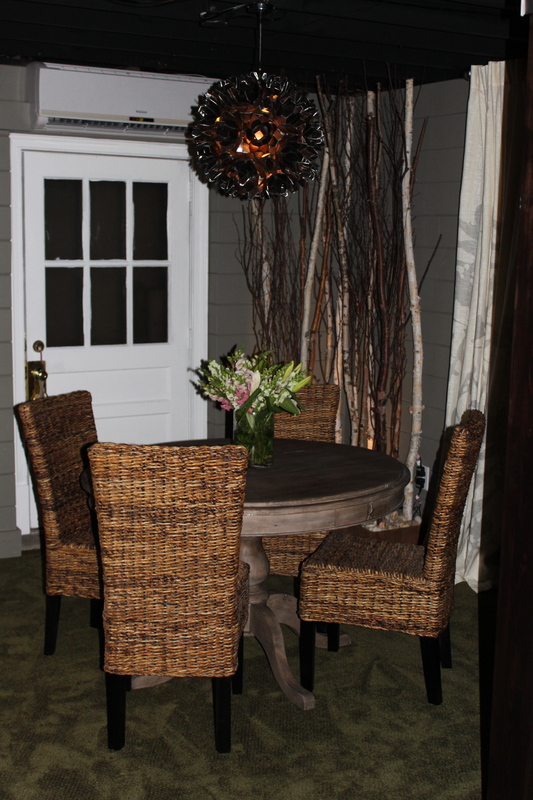 Our show was sponsored by Home Depot because so much work had to go into our space. Thanks Home Depot. 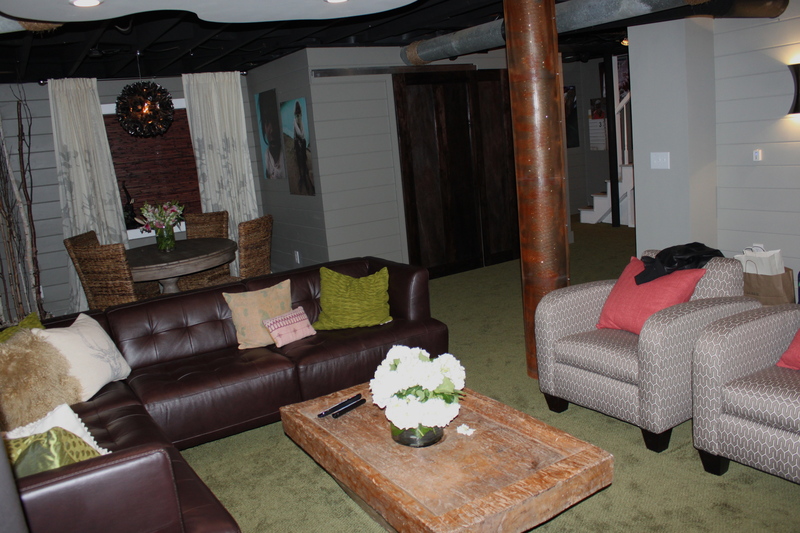 Our basement was a concrete dungeon (walls and floors) and they turned it in to an awesome livable space for our family. It adds so much to our house. Before they started the basement had only one electrical outlet, 3 lightbulbs and no other electricity. They put in new windows, insulation, HV/AC, carpet, electric throughout, re plumbed the laundry, furnished and accessorized the entire space, and gave us tons of gadgets!! Crazy!! True. 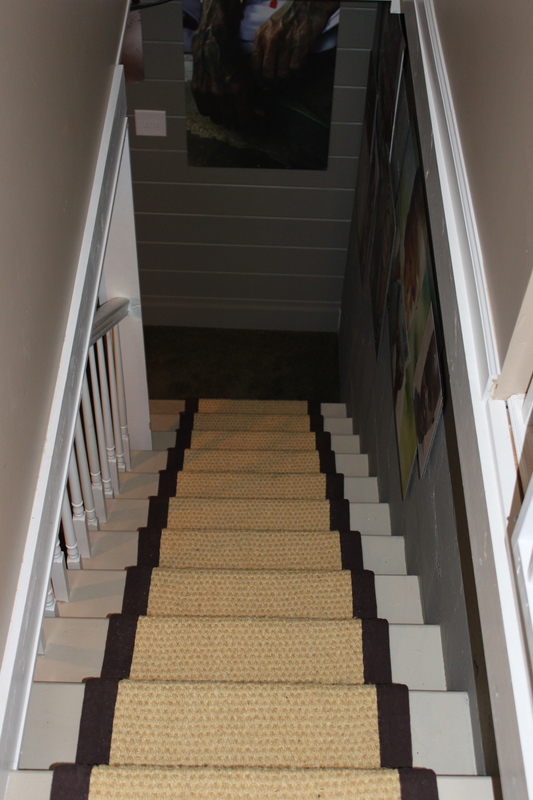 We did not like the carpet initally, but warmed up to it once Anitra put all the finishing touches on the space. Always trust the designer. My new mantra. I smile too much when I’m nervous! The Mega Dens team was amazing. Really special people! Grateful our paths crossed with these great folks! 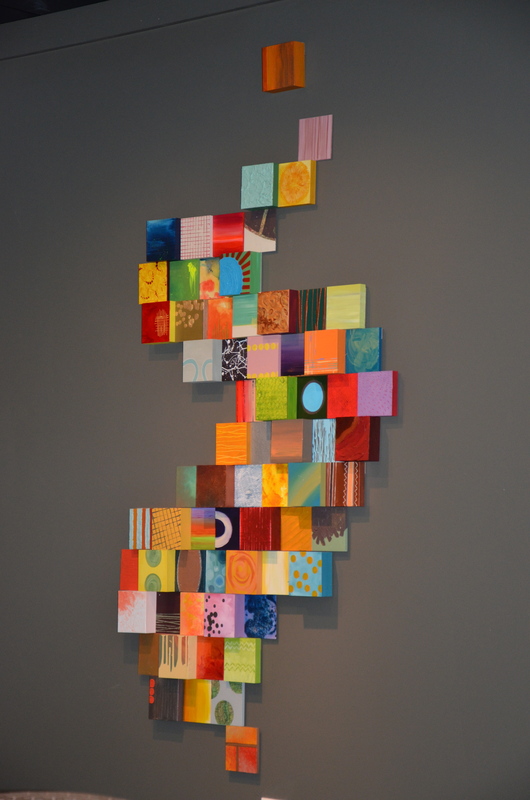 Pictures do NOT do it justice, so ya’ll will just need to come over and hang out and see it in person! We can not believe we were on a TV show!! 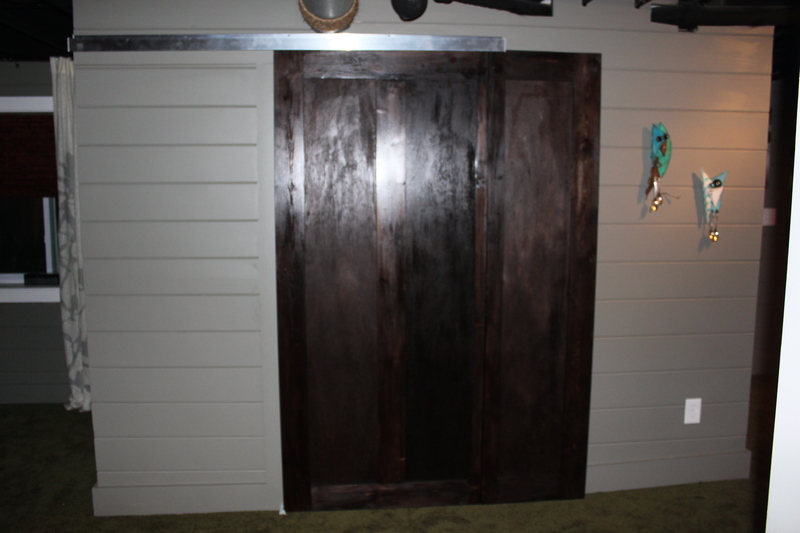 sliding barn door that hides the laundry room which houses our new front loading washer and dryer!!! 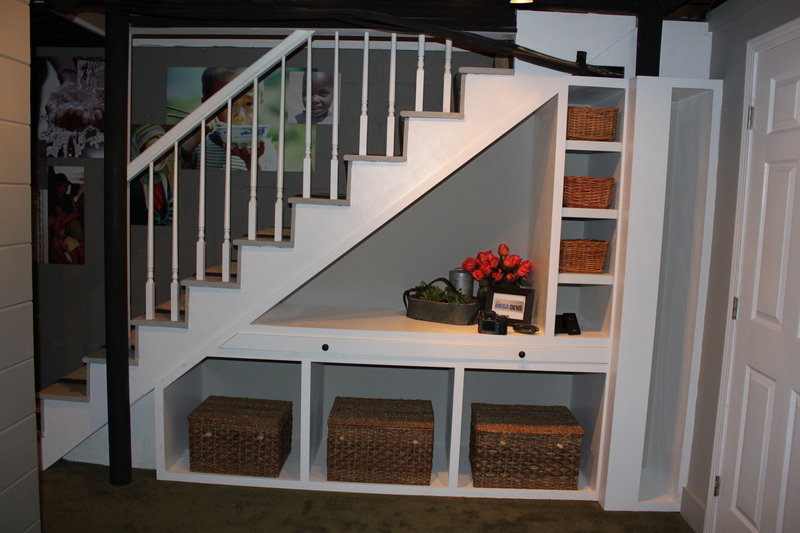 built in’s under the staircase. There is a huge table that slides out. AWESOME!!! My FAVORITE part of the room. 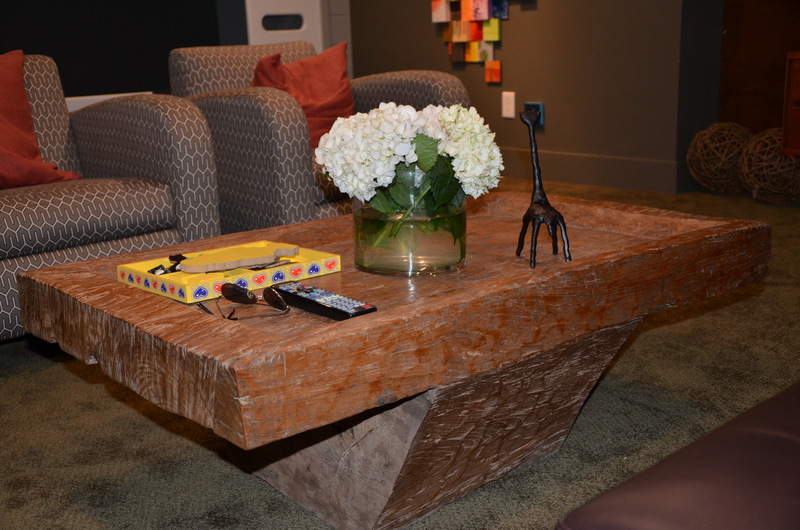 This is an antique table from Brazil. It is an old wash table (there is a hole in the center) and it is made out of a single piece of wood. it’s amazing. The custom art work. It looks amazing in person. So many details that are unique to us and our story. Thanks Katie! I watched the episode last night, amazing! I loved the custom artwork. How did they hang the tiles on the wall? We are going to try and do this. 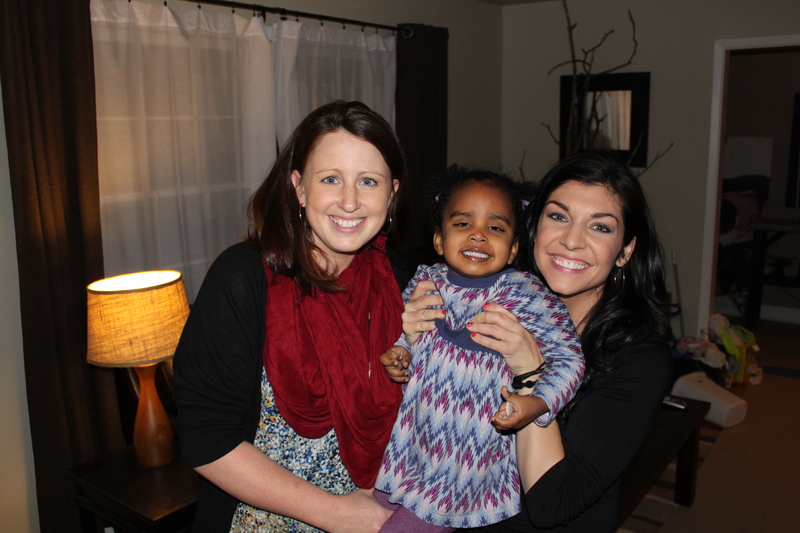 Also, thank you so much for sharing your adoption story, it was inspiring!